Fall is my favorite time of year! The colored leaves, the cooler days, crisp evenings, the gorgeous sunrises and sunsets are things I cherish. This year, fall seemed short and before the leaves could be raked and moved, snow dotted the landscape. My favorite fall holiday is Thanksgiving, which often gets little attention, sandwiched between Halloween and Christmas. 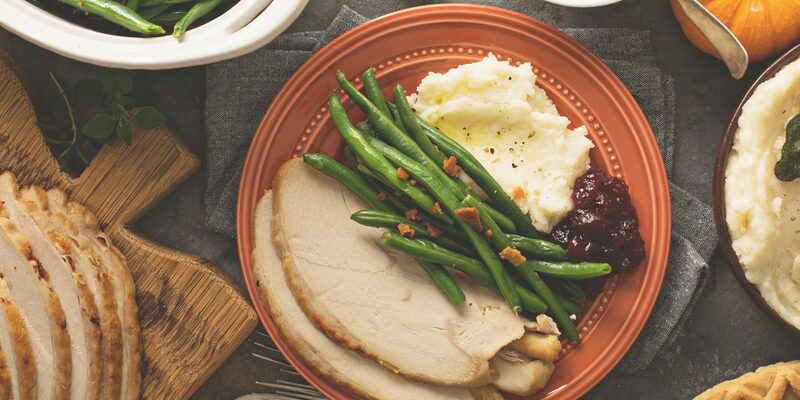 Food becomes the center of conversation when Thanksgiving is mentioned. Families and friends gather to share meals and fellowship often before striking out to capture the bargains offered for the next holiday. While many gatherings include a carry-in style meal of either home cooked or purchased foods, others prefer to eat out at a local establishment. Since 1986, Missouri Farm Bureau has participated in the annual Thanksgiving Day market basket survey conducted by the American Farm Bureau. Volunteer shoppers across the state and nation collect food prices from a specific grocery list associated with this ‘traditional’ meal to feed 10 people, with some leftovers. The menu includes a 16-pound turkey, stuffing, sweet potatoes, vegetable tray, peas, cranberries, rolls with butter and two pumpkin pies topped with whipped cream. The beverage offerings include whole milk and coffee. Missouri’s price for the meal, $54.15, rang in higher than the national average, $48.90, a difference of $5.25. Missouri’s average per-person meal cost this year is $5.42. If leftovers are taken into account, the price per meal drops even further. Factors influencing the cost difference included the price of the bird. Missouri’s shoppers found turkey prices averaging $1.56 per pound while the national average was $1.36. Prices for all dairy products included in the survey – whole milk, whipping cream and butter – were higher than the national average. Many of the Missouri items remained constant or shifted only slightly from the 2017 results. Stuffing mix increased $0.01; cranberries, $0.09; sweet potatoes, $0.09; rolls, $0.06; and the vegetable tray, $0.10. Shoppers may find some of these prices changing as Thanksgiving approaches. Our shoppers captured the cost per item without using store promotions such as “buy a ham get a free turkey.” As the holiday nears, stores often use one or more items at loss leader pricing to attract shoppers, knowing that most will purchase enough impulse items to cover the loss. Missouri consumers have continued to enjoy an affordable food supply with relatively flat retail food prices for some time. Farmers and ranchers across our state and nation work daily to provide food choices for a variety of consumer preferences. As we gather this Thanksgiving to share a meal with loved ones, let’s remember those who provide the food we enjoy year-round. 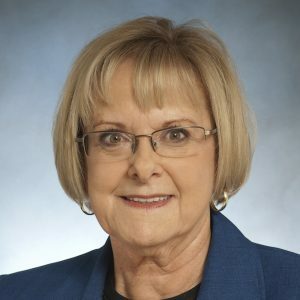 Diane Olson, of Jefferson City, Mo., is Senior Director of Promotion and Education for Missouri Farm Bureau, the state’s largest farm organization. For her full biography, see Federation Staff.